Dragon Flies are one of the unique insects that I really like. When I was a child I always wanted to play with it. In my county we got different sizes and colors of a dragon fly. 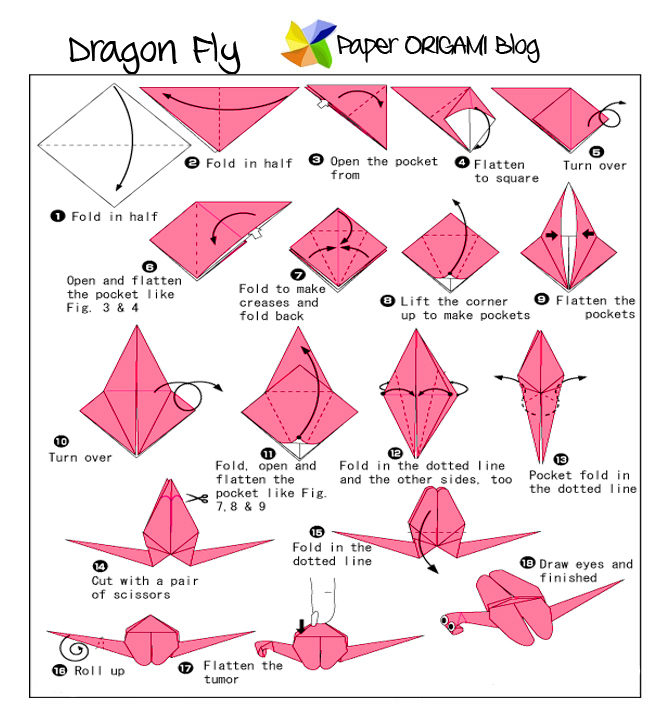 Here I want to give you the diagram of how to make this amazing insect. 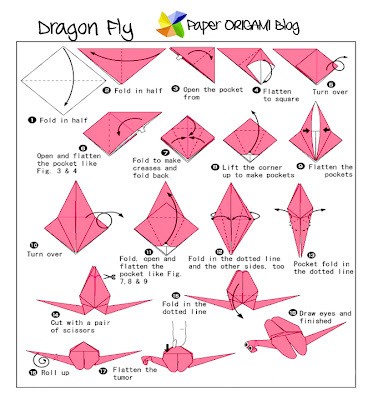 If you are interested in making basic dragon fly origami just follow the diagram below, you can download it for your offline tutorial.